Obzedat hates fun and so should you. 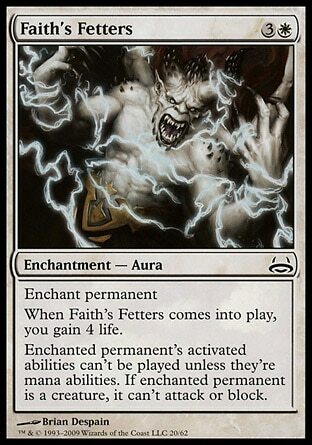 He’s a ghost, he can win by sitting around forever and waiting for everyone else to die of boredom! 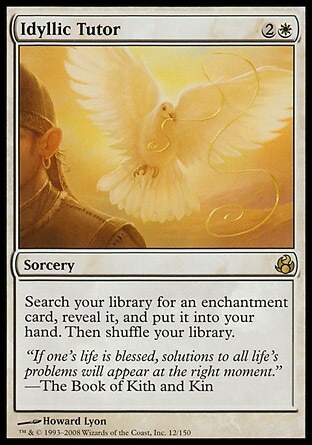 I present to you my creation, ‘Obzedat, the Spirit of EDH’. 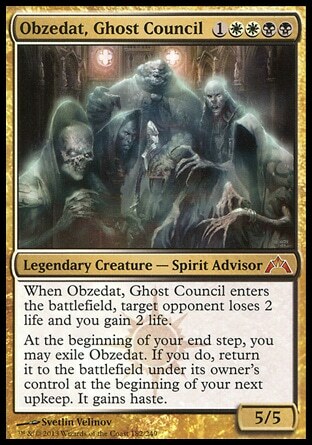 To begin, let’s look at the commander, Obzedat, Ghost Council. 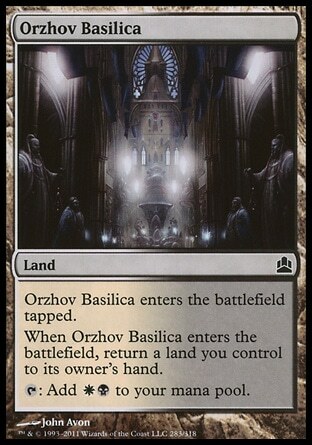 Why would you ever play him instead of Ghost Council of Orzohv? 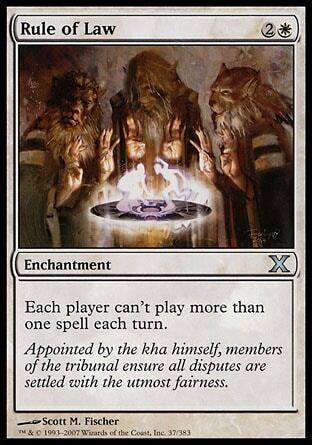 The original Ghost Council could be exiled at instant speed, dodge nearly all removal, and had a built in sac outlet, great for decks that actually WANT to sacrifice creatures! 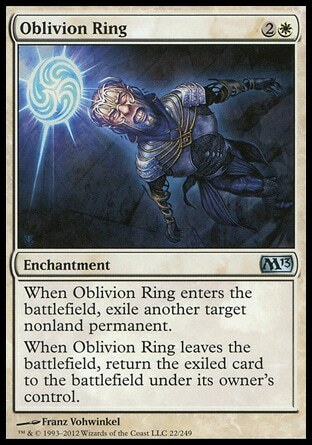 So when is Obzedat better than Ghost Dad? When you have no creatures of course! That right, a creatureless deck. 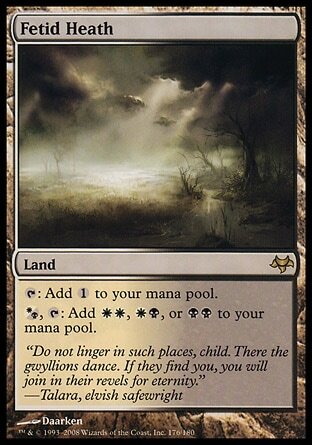 How on earth do you win without any creatures in B/W you ask? Well, you combo off. In some circle this is frowned upon. 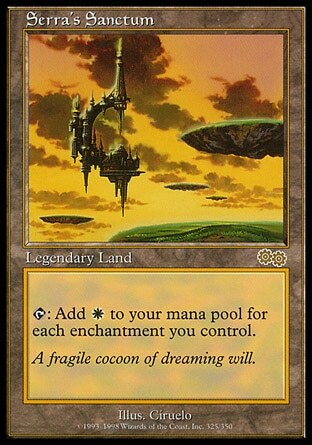 In most, it will be frowned upon when they play with this particular deck. It doesn’t offer much interaction at all. But alas, that’s the point. We don’t want to make friends here, do we? 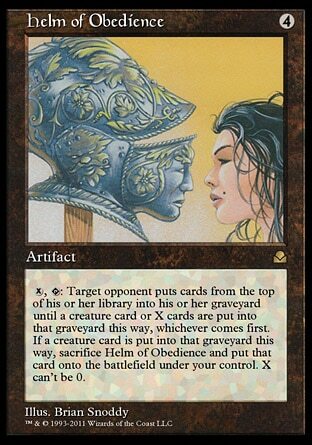 Leyline of the Void or Rest in Peace and Helm of Obedience - Activate helm with either of these two out and you will exile target opponent's library. They will lose next time they draw a card if all goes to plan. 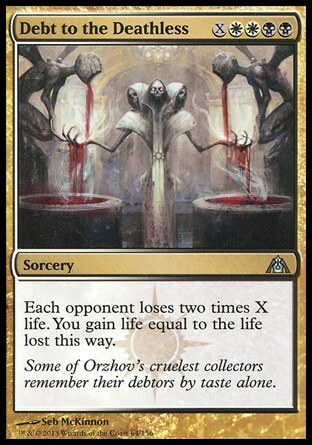 Exquisite Blood and Sanguine Bond are another infinite combo when both on the battlefield, triggered by you gaining life or any opponent losing life. 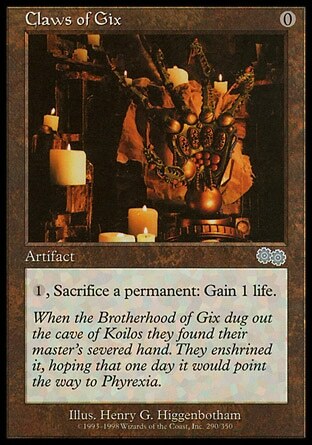 Obzedat can be used for this life loss/life gain, but its more than likely that you will have artifacts or enchantments that stop even your own general from hitting the battlefield or having his ‘enters the battlefield’ effect trigger. 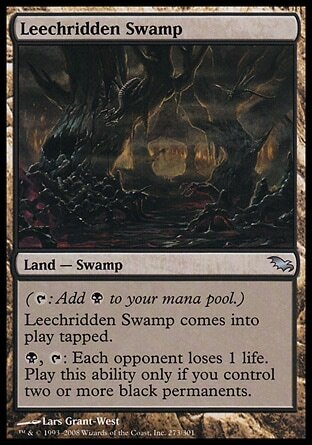 Leechridden Swamp can help make your opponent lose a life to set it off. 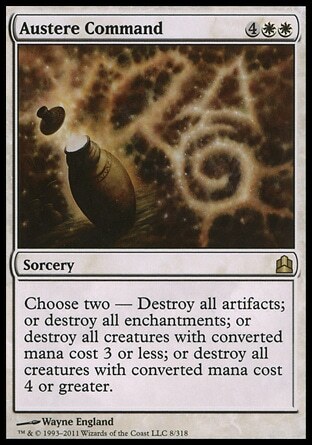 Opalescence can be a win condition on its own with a lot of enchantments. It makes all your enchantments into creatures you can attack with. 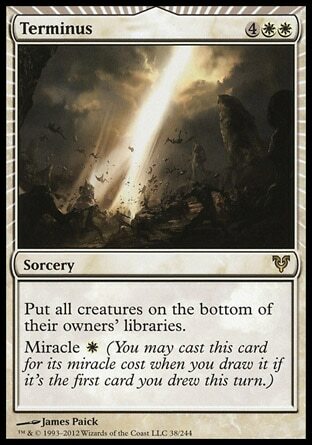 Just watch out if you have an enchantment like Lightmine Field out it could even deal damage to itself. 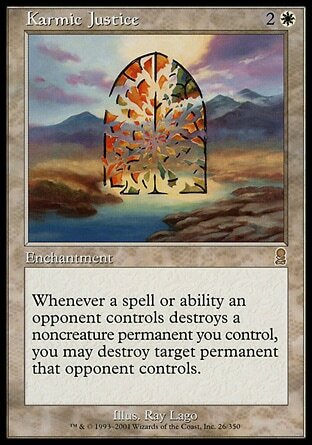 Be sure not to play Opalescence and Humility at the same time unless you want to give your playgroup a headache. 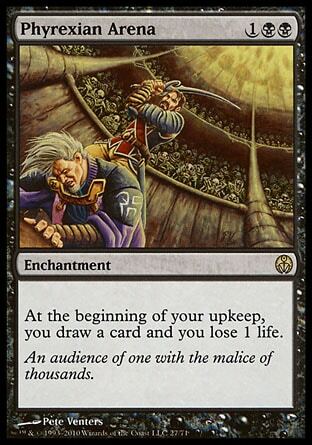 Grave Betrayal can get you some fatties on your side of the board, but sometimes it won’t do much if you have Humility or The Abyss out. 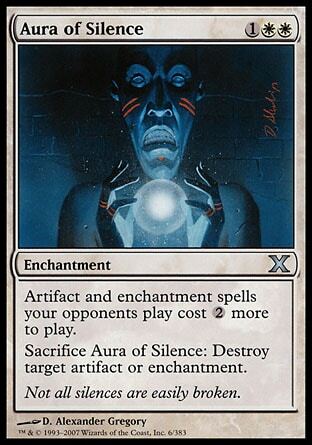 If you plan on winning with Grave Betrayal, make sure to sac of your creature hate enchantments first, or wait until someone clears the board of your enchantments. 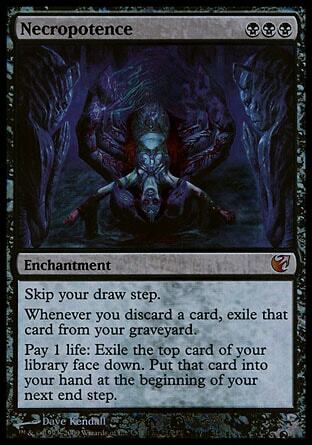 Debt to the Deathless can sometimes gain some life that you don’t die, gain enough to draw more cards with necropotence, or drain enough life from your opponents to outright kill them. 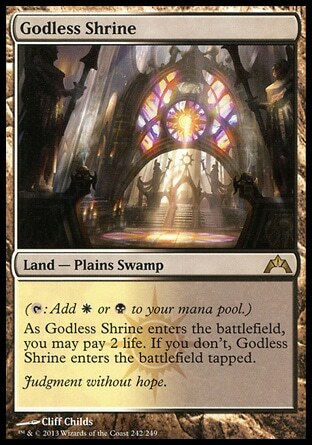 With Serra Sanctum, Cabal Coffers, Deserted Temple, Vesuva and Thespian Stage and even Black Market, you can make a pretty large amount of mana. 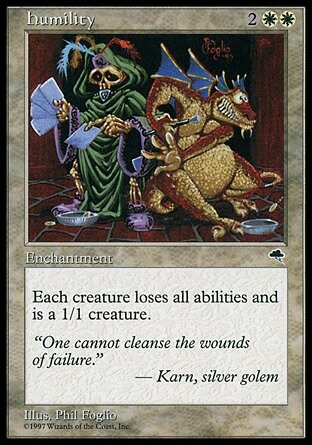 From testing however, I have found the number one win condition to be ragequit. 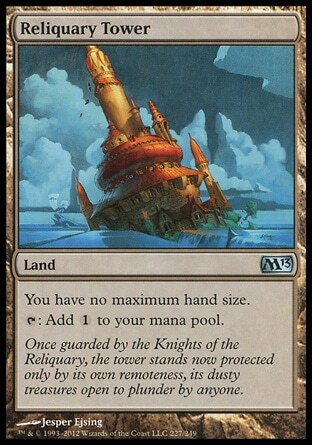 Now this isn’t what this deck set out to do, I was never intending to build a griefer deck. 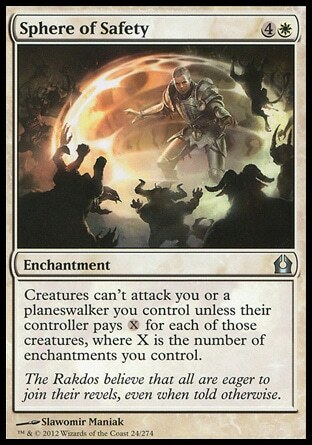 It was just a deck building challenge to make a viable deck with 0 creatures. 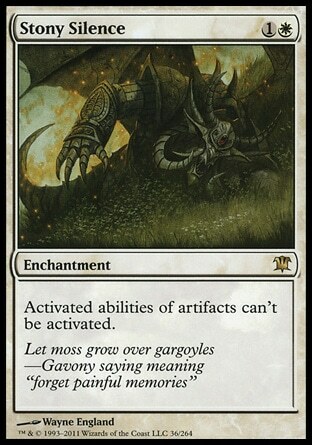 As it turns out, it can cause either long grindy games, or just combo off quickly and win. 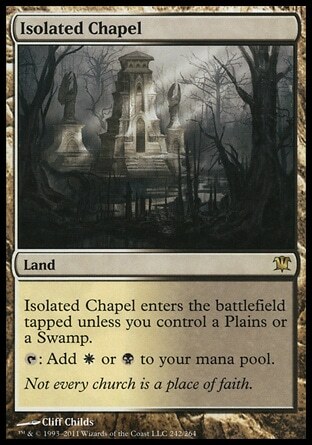 Either way, some opponents won’t be happy with your win conditions. Anyway, back to the deck. So what does the deck do while you try to assemble a combo? 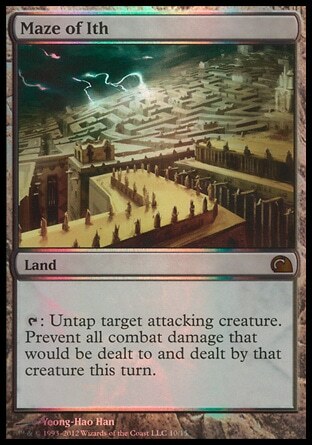 It stops your opponents from killing you, mostly by stopping them from having creatures. 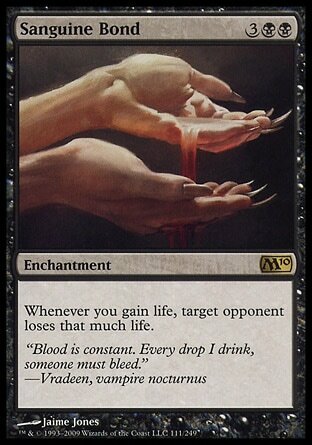 Barter in Blood- Gets around indestructible, great early game, but doesn’t do much against hordes of creatures. 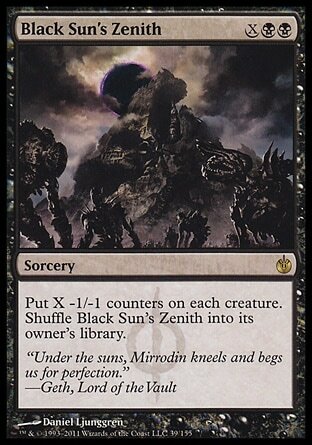 Black Sun’s Zenith- Another board wipe that gets around indestructibility, also hilarious against Skullbriar and persist creatures. 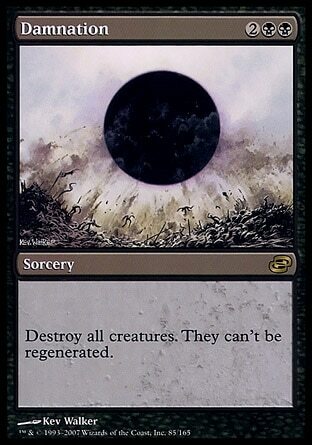 Damnation- Standard creature wipe, stops regeneration. 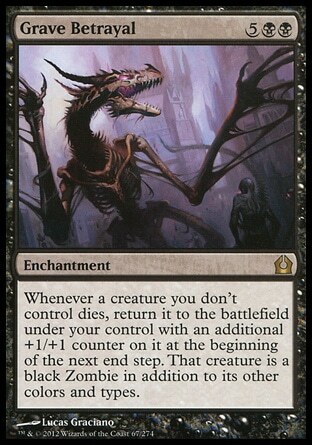 Decree of Pain- Expensive creature wipe with added card draw, or cycle it to kill off small creatures for cheaper. 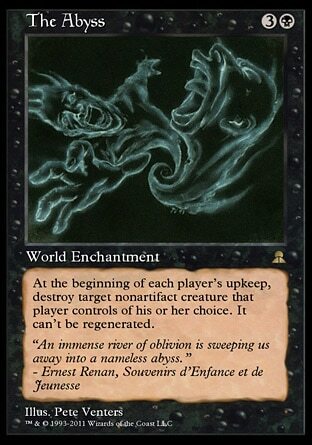 Mutilate- Gets around indestructible, but relies on the number of swamps you have. 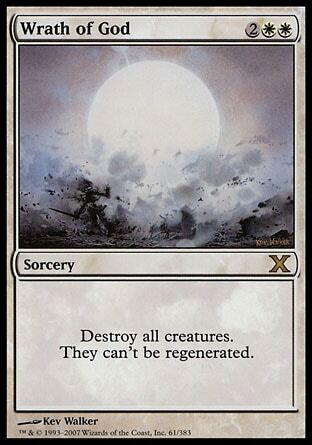 Wrath of God - Damnation, but whiter. 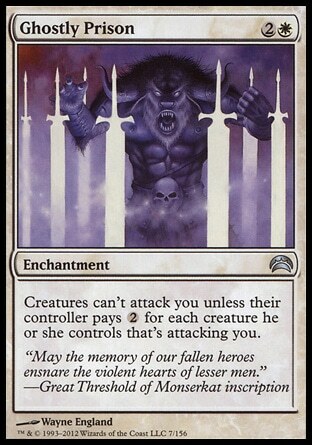 Lethal Vapours - Lethal Vapours can stop people from playing creatures for a few turns until someone gets desperate enough to skip their turn to destroy it. 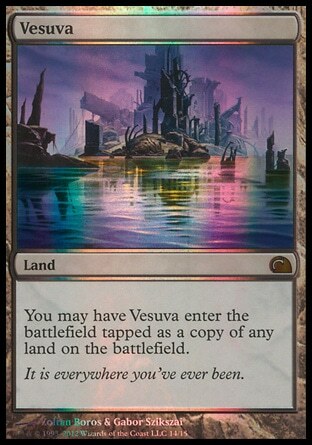 Its great to drop this then wipe the board and keep the board clear for a few turns. 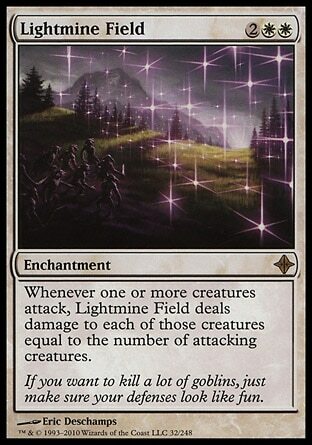 Lightmine Field - This can stop people from attacking with multiple creatures at once. It doesn’t stop people swinging in with 1 or 2 fatties though. 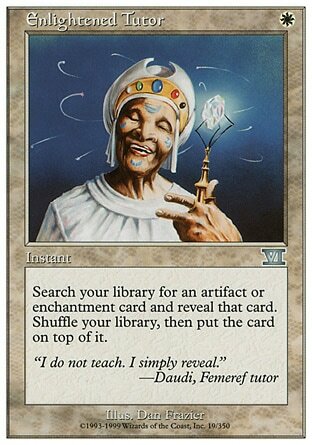 Works well when you play it alongside humility. 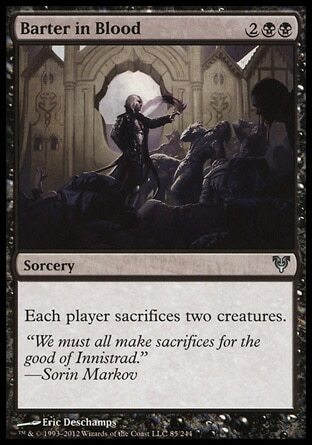 Night of Soul's Betrayal - Along side Humility, this will just kill all creatures. Even without Humility, it kills small creatures and make all creatures weaker. Great vs token swarm decks and elf decks. 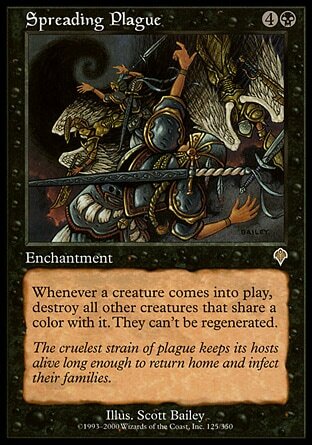 Spreading Plague - This card can get super political, effectively making it so only one creature of each colour can be on the battlefield at once. It will make people angry when they beast within your Greater Auramancer and not realise that it kills their Prime Speaker. Tainted Aether - This is one of the weaker creature hate enchantments, but its always fun to give people a tough decision with what to sacrifice when they really need to play a creature. 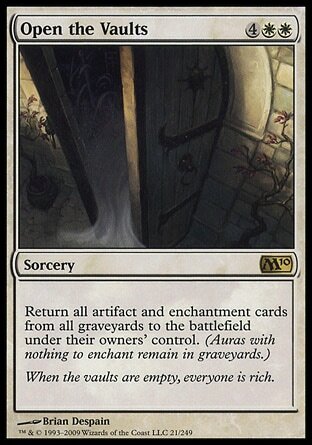 The Abyss - Quite pricey but its definitely a great card if you can afford it. 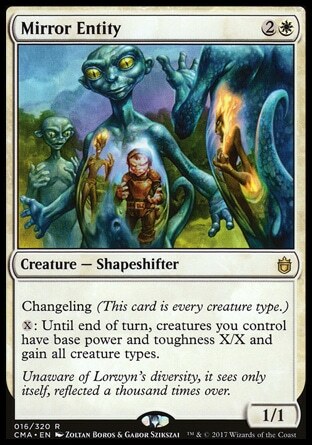 This can make it hard for decks that rely on a few creatures like voltron or exalted decks. 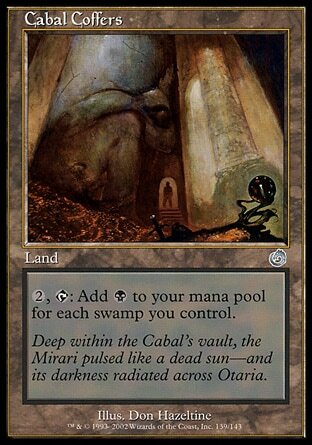 Torpor Orb - This card alone can shut down some cards that rely on getting value out of creatures ETB effects. 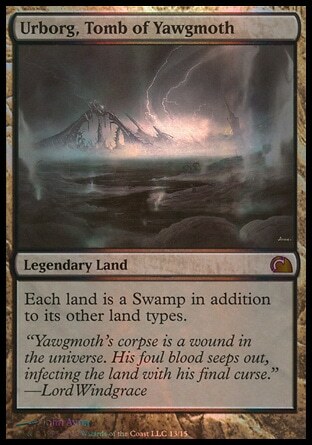 This shuts down any creature that does something when it enters the battlefield and will win some games on its own. 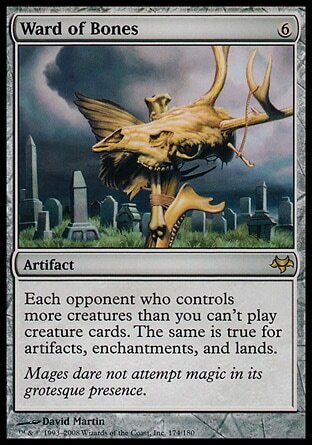 Ward of Bones - When you never have any creatures in play, Ward of Bones will limit your opponents to stop them casting if they already have a creature out. 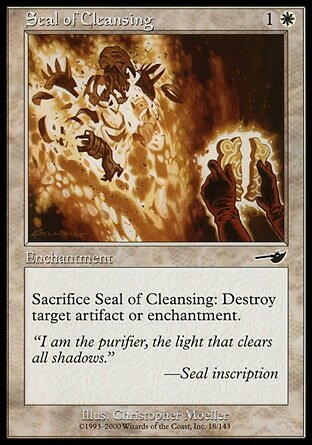 It works for artifacts, enchantments and lands too, so its great against artifact decks and ramp decks, or just after a board wipe. 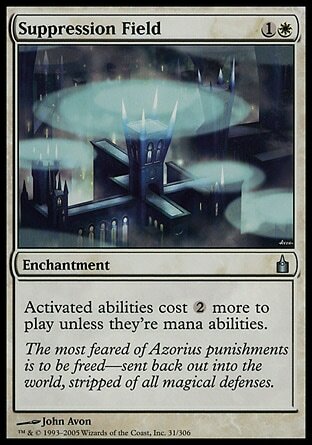 Ghostly Prison - This can stop token or weenie decks making a dent in your life total if they don't have the mana to pay for all their attackers. 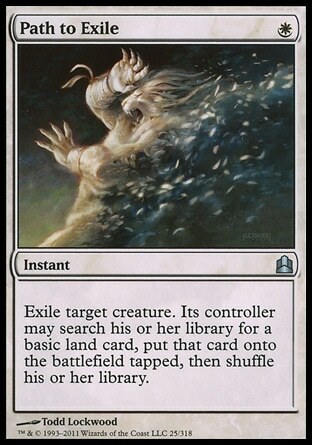 Greater Auramancy - If anyone wants to use targeted removal, they have to remove this first which is often problematic for them. 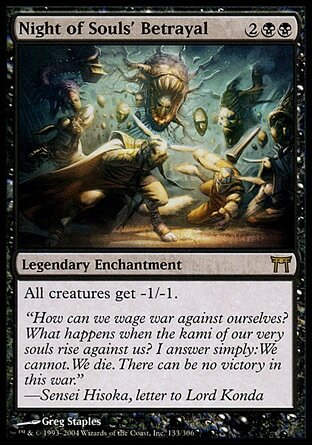 Karmic Justice - They destroy something of yours, you destroy something of theirs. Fair is fair right? 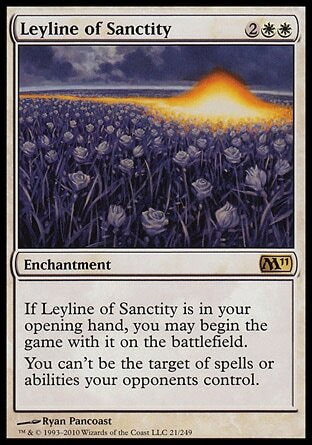 Leyline of Sanctity - This can stop combo decks that rely on targeting, or burn decks, or targeted discard, or lots of other things too. 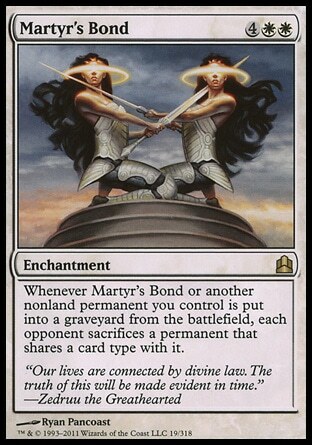 Marty's Bond - Similar to Karmic Justice, only not as good. No Mercy - People will only be able to attack you with expendable creatures unless they want them to die. 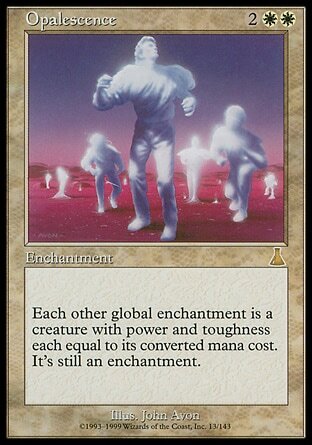 Sphere of Safety - Late game, this can just stop creatures from attacking you if you get enough enchantments out. 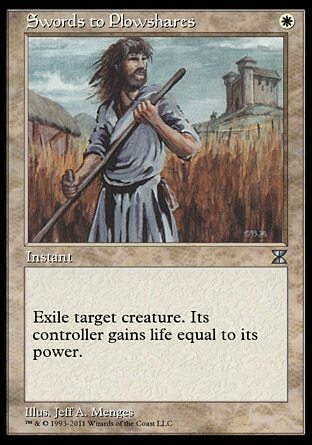 Swords to Plowshares - Serve the same purpose as Path. 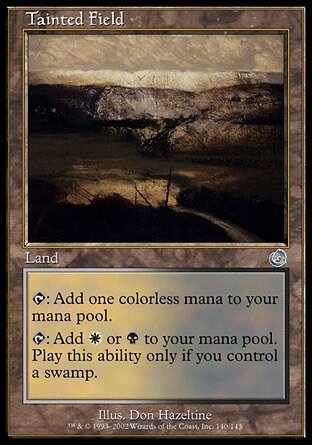 Mind’s Eye- Let’s you use any excess mana to draw cards when your opponent draws cards. 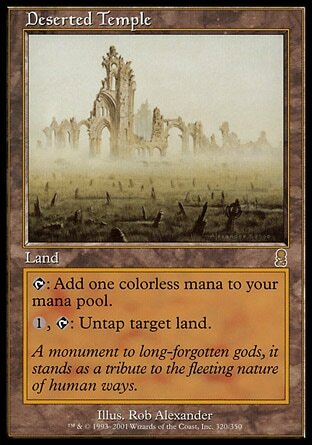 This gets better the more opponents you have if you have mana to spare, and can draw you a lot of cards over the course of a game. 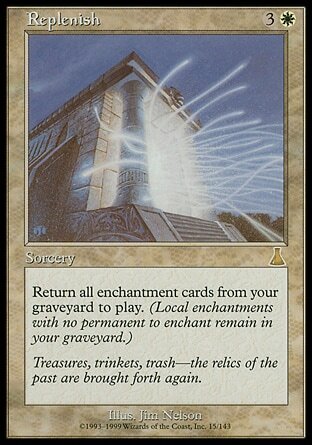 Necropotence- The most powerful card draw engine in Magic, Necropotence can help ensure you always have a full hand. Be careful in case anyone names Necropotence with a Pithing Needle or when you are getting low on health! 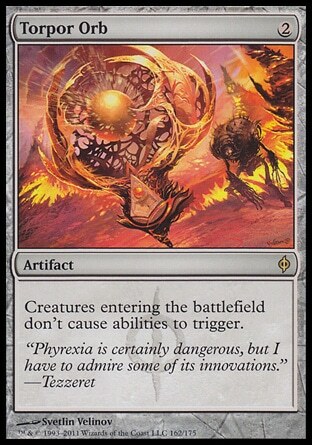 Phyrexian Arena- Another amazing black card draw engine, drawing an extra card a turn at the cost of one life is definitely worth it. 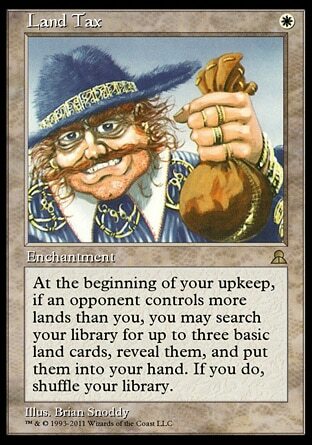 Can really help you keep a full hand of cards throughout the game. 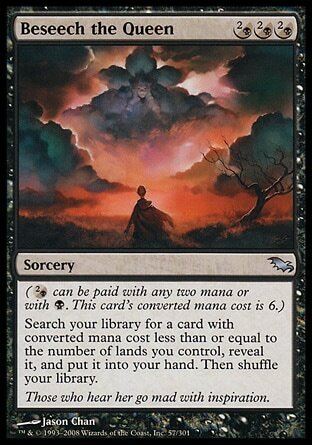 Beseech the Queen - Tutor for something with a converted mana cost no greater than the number of lands your control. This can normally get you anything you want by the time you need it. Increasing Ambition - Flashback makes this worthwhile, especially as you get to tutor twice the second time. 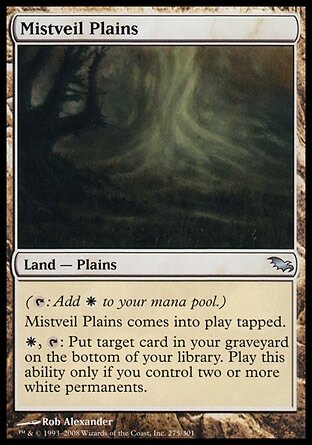 Don’t cast it when you have Rest in Peace down unless you really need to though! 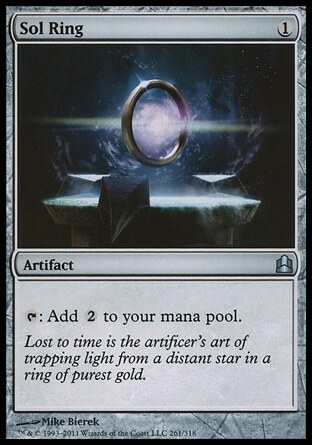 Sol Ring- Speak for itself, can give you an explosive start if you play this turn one, always a good card is it nets you 1 mana even the turn you play it. 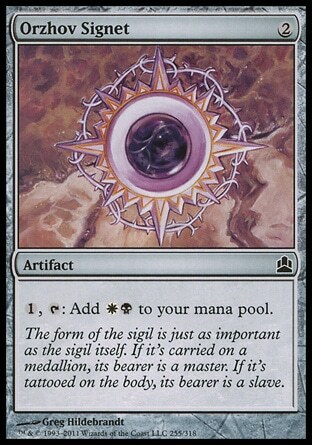 Orzhov Signet- The most basic artifact ramp, helps colour fix you early game too. 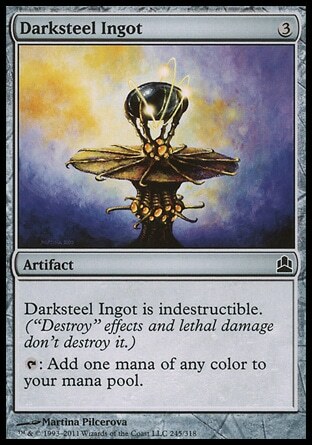 Darksteel Ingot- Early ramp and colour fixing on an indestructible artifact. 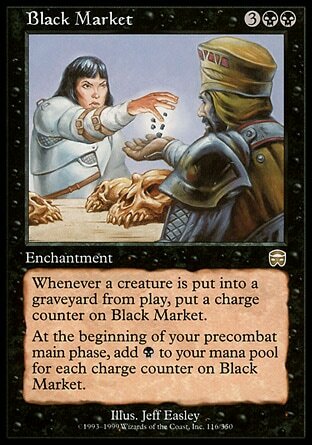 Black Market- Ideally lots of your opponent creatures will be dying making Black Market an excellent mana source if you get it down early. 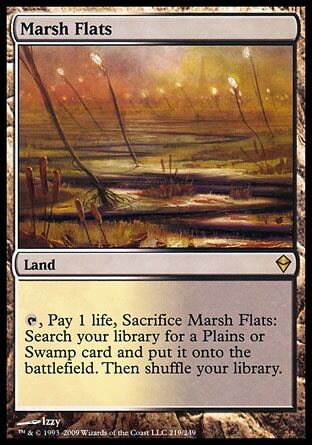 Late game it can be fairly lackluster, especially once something like Lethal Vapors is in play as people are unlikely to even cast creatures only to send them to their death. 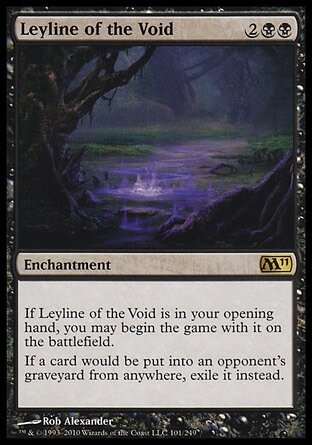 Leyline of the Void - Part of a combo, but it also stops graveyard shinanagens and any death triggers. Rest in Peace - Same as above but exiles when it enters too. 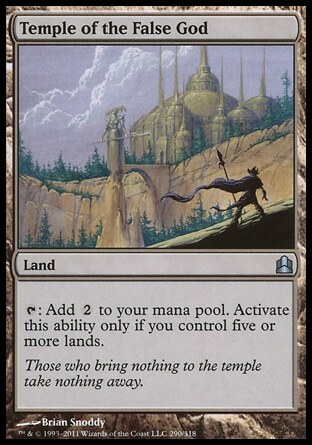 Rule of Law - Can bring the game to a crawl, but its excellent against storm and some combo decks, or big mana decks that want to draw and play lots of things each turn. 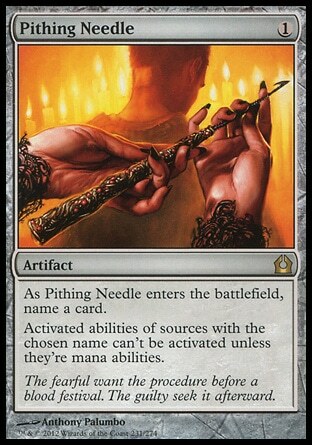 Pithing Needle - This card alone can cause so much trouble for decks that rely on a commanders activate ability, but its also great against planeswalkers or things like Survival of the Fittest. 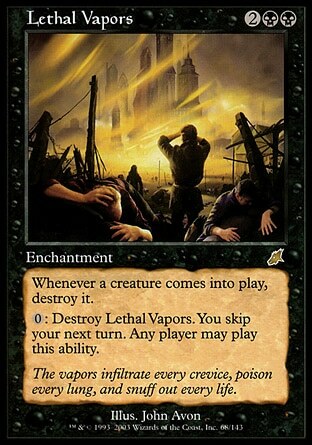 It's also hilarious to name Lethal Vapors with it. 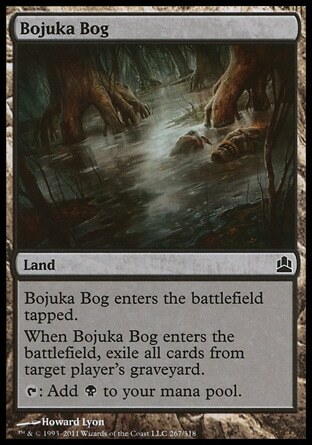 Bojuka Bog - Graveyard hate attached to a land. Kor Haven - Prevent damage from a creature. 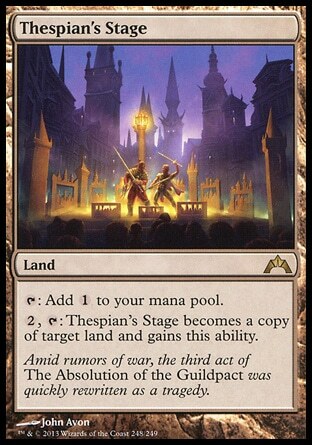 Thespian's Stage - Normally makes a second copy of Cabal Coffers or Serra's Sanctum, but it can also copy opposing wastelands, or make a second Maze of Ith if you want to. Playing this deck is fairly straightforward if you know the deck and know what your opponents are playing fairly well, though it often relies on predicting your opponents and trying to win in the best way for each match up. 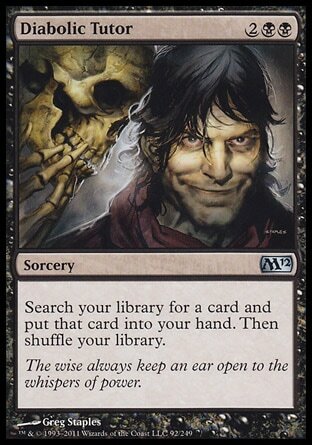 Some match ups you can just tutor for combo pieces straight away, but against other fast combo decks, you might have to tutor for something like Rule of Law first. 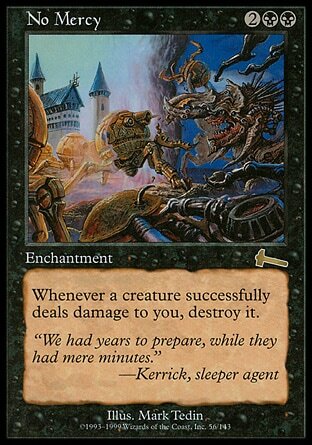 As a general rule, if you can combo off quicker than your opponents are likely to stop you, then do it. 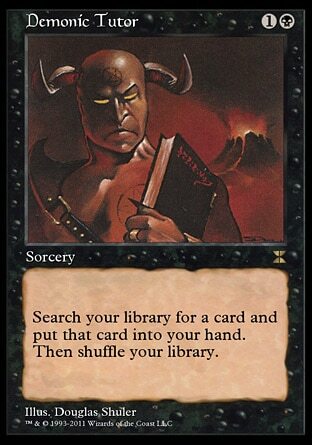 If you think they will be able to stop you, tutor for something that is good against their deck, such as Torpor Orb against Animar, or Rest in Peace against Karador. Getting some card draw out early is always good too. Stay alive, find a combo, win! There are lots of changes that could be made to this deck to suite you playstyle. 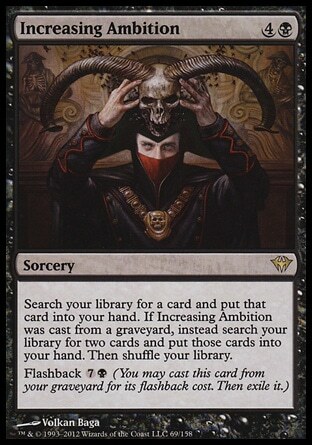 You can remove some creature hate and put in something like Chains of Mephistopheles to hate on card draw, or changes some of the wraths to more artifact ramp, or Expedition Map. 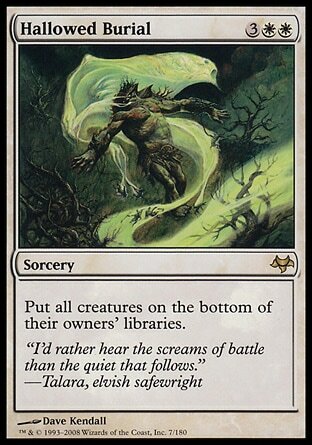 Bitterblossom is a card that could definitely fit in this deck, if some of the creature hate was changed, particularly Night of Soul’s Betrayal would have to go! 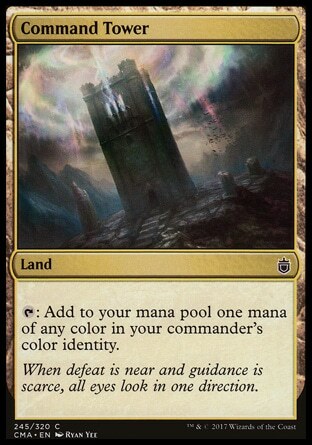 You could also definitely find room for Blind Obedience and extort your way to victory if you chose to. I hate to say it but this deck looks way too good and i say that as compliment. 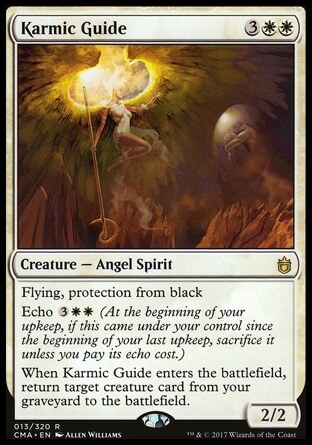 It seems if you some good enchantments online then give them all shroud or use Karmic Justice then it seems hard to beat. This in itself you may find to be a problem. The making of this deck could result in two scenarios. 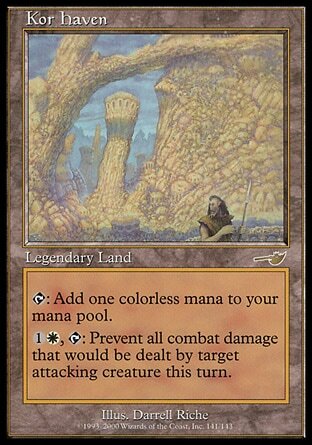 If you have a play group with friends i guarantee they will all hate your deck, trust me it has happened to me in my own play group. The other way this could turn out is you win the first few games then just get targeted early game. 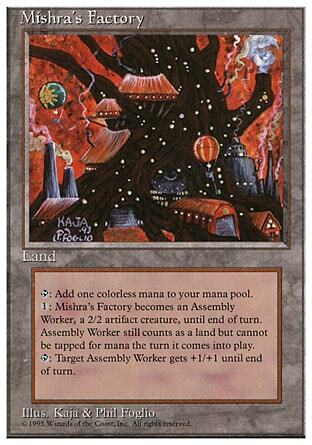 Although this, I commend all of the synergy this deck really is sweet. Best of Luck. It's very fun to play, but as Joe above me pointed out, I get all the aggro on me unless I get some protection out quick. Here's my list on tappedout.